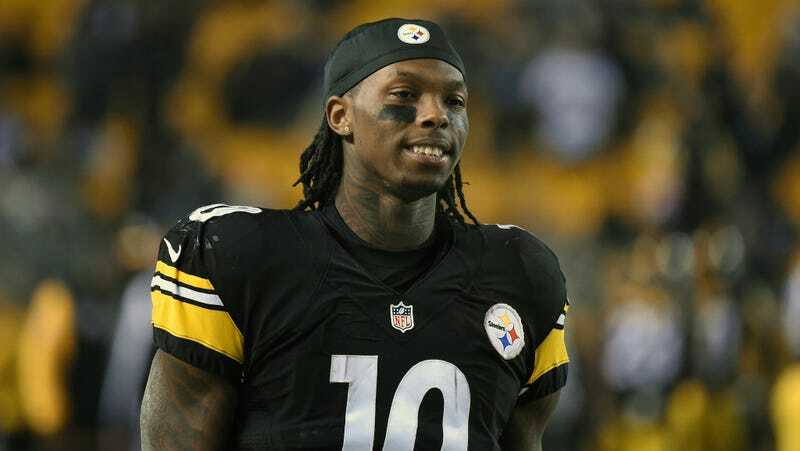 Pittsburgh Steelers wide receiver Martavis Bryant missed the first four games of last season for violating the NFL’s substance abuse policy, and now he might miss the entire 2016-2017 season for a similar violation, per a report from Dejan Kovacevic which was later corroborated by others. After his 2015 suspension, Bryant visited ex-NBA coach John Lucas for drug counseling and said he was trying to clean up. Per the terms of the NFL’s policy on recreational drug use, a fourth offense gets you four games, a fifth gets you ten, and a sixth gets you a full season. If they held to that policy in Bryant’s case and his four-gamer was a result of a fourth violation, then there was an unreported incident preceding this one. Bryant’s agent will reportedly appeal the suspension when it’s officially handed down. Update (9:09 p.m.): Bryant will reportedly enter rehab . Fettner had just landed in Florida and planned to discuss three clinic options with Bryant later Saturday, he said. The plan is for Bryant to enter rehab Sunday, Fettner said, though Bryant’s other agent, Tom Santanello, said nothing would happen before Monday as they continue to sort through their appeals options. The multiple missed tests – which count the same as failed tests – explains why Bryant faces banishment for at least one year, rather than a 10-game suspension for his latest violation after serving a four-game suspension to start last season. “This is the biggest cry for help I’ve ever seen. And that hurts. It hurts us to see,” Fettner said. “He’s 24 years old and he’s got to get right, whatever it is.